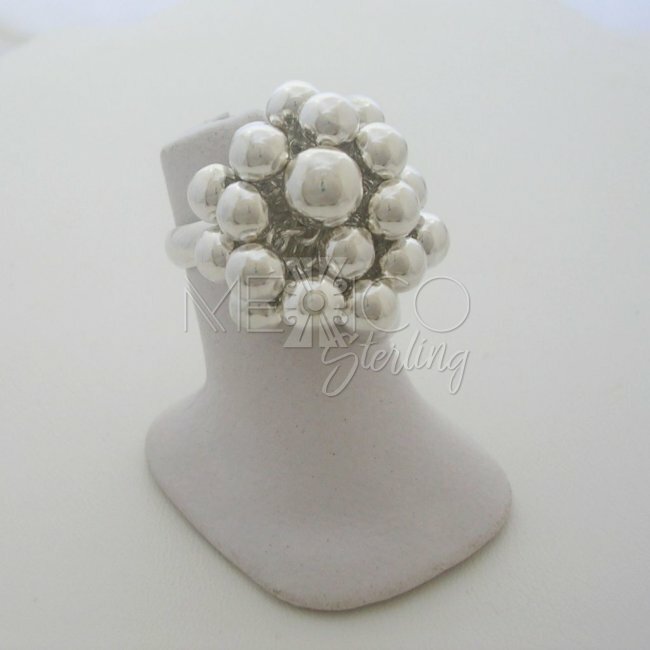 Adjustable Solid Sterling Silver Ring with Spheres [RNG2902] - $55.00 : Mexico Sterling Silver Jewelry, Proundly from Mexico to the world. 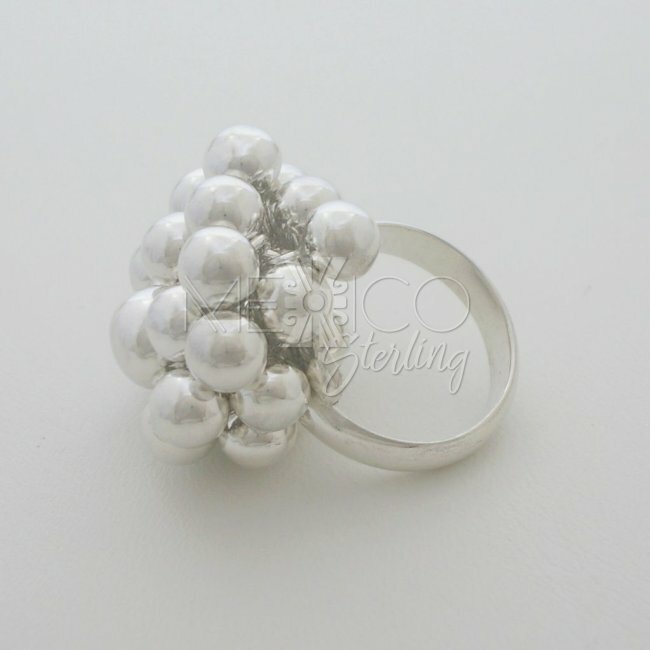 On the surface of the ring, you can see little spheres, which are made of solid silver and are not hollow. 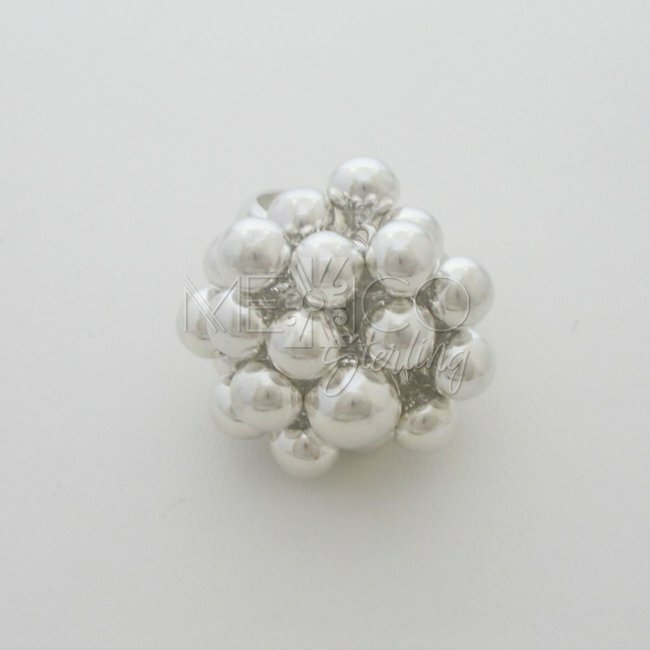 These spheres are intricately fixed on the surface of the ring. 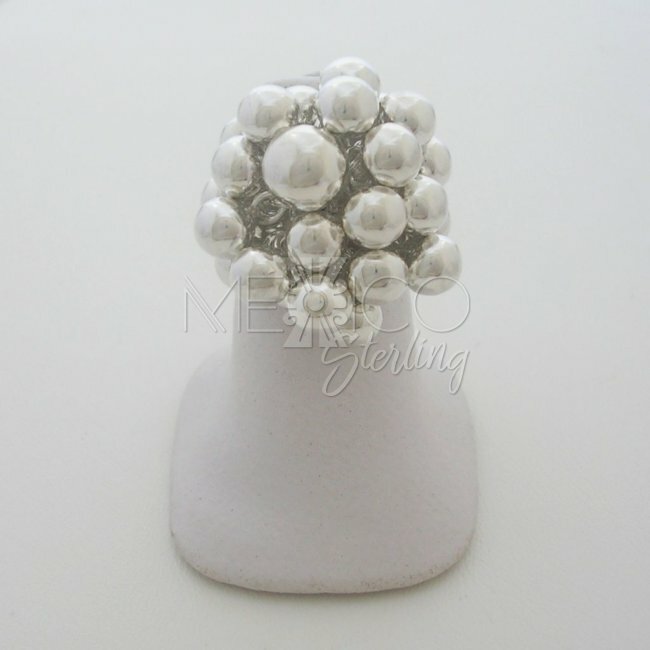 This design is utterly beautiful in its modernity and has a touch of classic sophistication to it. For ring-lovers, especially those who love big statement-making pieces, this is the perfect piece that will let you show off your unique sense of style. 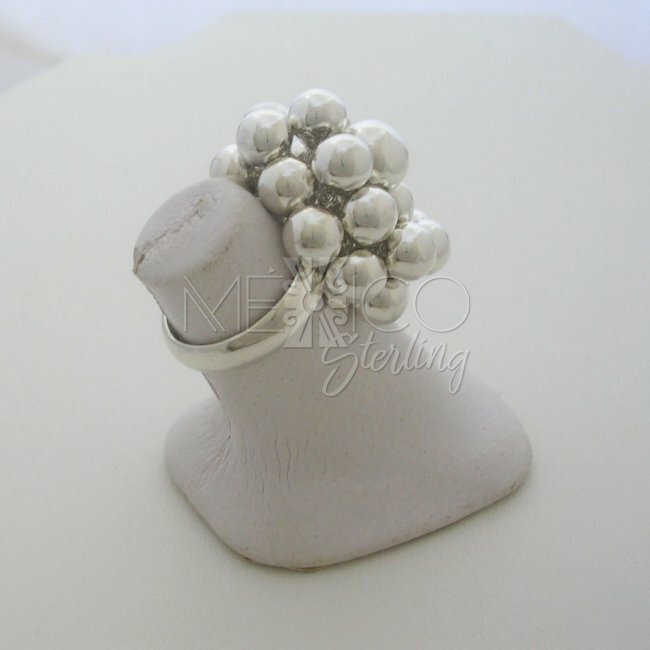 Boasting a pure Taxco style, this sterling silver ring is a piece of tradition constructed in a very modern and rare manner. 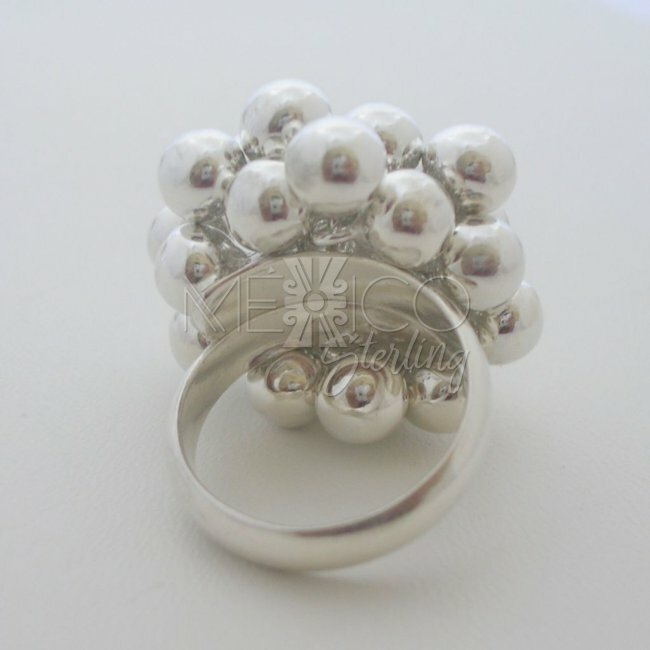 Anyone familiar with Taxco jewelry will be able to appreciate the inspiration that comes into the design and crafting of this silver ring from the old Taxco tradition. Despite the fact that every minute detail on this ring is beautifully and thoughtfully constructed, yet there is a rugged feel to the design that makes it all the more interesting. 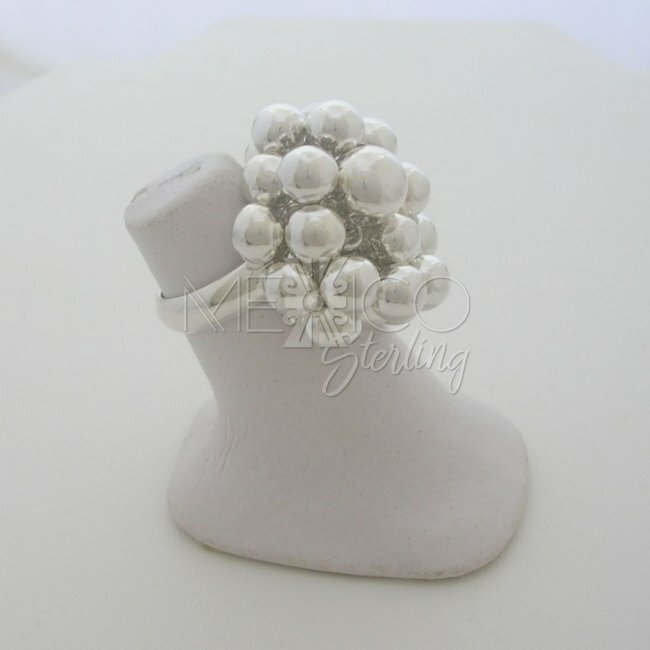 If there is one piece of jewelry you must invest in then this has to be the one. 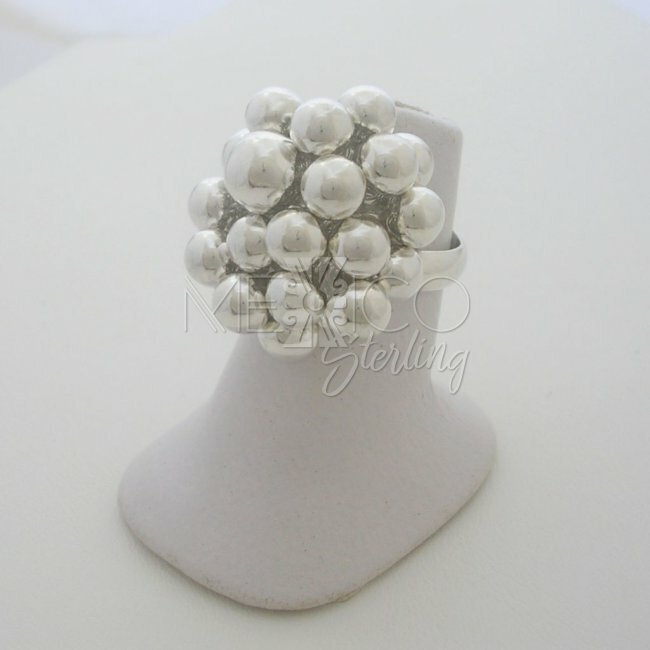 These rings are also adjustable, but the ones available, can go form a size 7 up to a size 10.